Gardenality Stem · Zone 8A · 10° to 15° F · 1,043 Points · Last Login 6 years ago. I've been gardening all my life with a special interest in perennials and herbs. I have a gardening website, South Carolina Garden Guru, where I have been writing lists of plants for different gardens or certain areas of your garden along with gardening How tos. 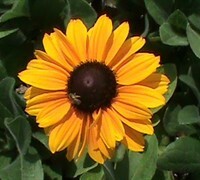 I have a weekly blog about various garden topics on my website also. Gardening is good for the mind, body and soul. Below are plants that grow in South Carolina Garden Guru's virtual gardens. The larger the plant name, the more South Carolina Garden Guru uses it.